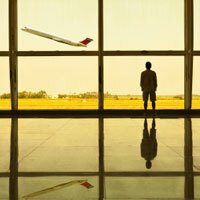 For many travellers, organising travel insurance can be something of an afterthought. But finding a policy that suits you and your journey plans could be the most important travel decision you make. Sometimes that means really examining the specifics of the available policies, rather than just going with whichever is cheapest. Use this simple guide from World First Travel Insurance to help you find the best policy when you're shopping around for your travel insurance. Basic travel insurance policies will only provide standard cover, they might not cover adventurous sports and activities, riding on or driving a motorcycle of more than 120cc or watersports such as scuba diving. There will also be limitations on the level of cover for pre existing medical conditions, the duration of travel and age of traveller. Each policy can have different exclusions but all, without exception, will reject any claim which is a result of use of illegal drugs and consumption of alcohol. All policies will have exclusions relating to pre-existing medical conditions unless you tell the insurance company about them and hazardous activities. If you have any pre existing medical conditions, whether that's a history of heart disease, high blood pressure or cancer, right through to asthma and irritable bowel syndrome, you must tell your insurer. If you fall ill whilst away and require treatment you will not be covered if you have failed to declare a condition which is related. You can often find cheap travel insurance on comparison sites, however the reason they are so cheap can sometimes be because the excess you would need to pay if something went wrong is very high. Some policies have a compulsory excess of more than £600, whereas others will be much lower, around the £50 mark. Policies with a lower excess are usually slightly more expensive. Always consider the level of the excess as although you may save money on the cost of the policy, you won't be making a saving in the long term. The standard level of cover for a single item is £250. If you're taking your MP3 Player, a laptop, camera, mobile tablet device such as an iPad or any other high value items, check whether they will be covered by your travel insurance. Failure to do this could result in you being out of pocket if the item is lost, stolen or damaged. For the additional cost, usually no more than £15, you can have complete peace of mind that all your valuables and electronic equipment is covered. During the past few years many travellers have had to endure disruption to their travel, from volcanic ash to industrial action. Make sure your travel insurance covers you for delay and disruption and that you know the limitations of this. For example, if you book a holiday after industrial action has been announced or after notification that there will disruption due to the weather, you will not be covered. However, if you book your holiday and your travel insurance before any such announcements, then you should be covered. Not all insurers use the same criteria for generating travel insurance quotes. Some will require information about medical history for the past five years, others only the last two years. Some insurers will enforce a high excess, whereas others will have lower excesses and slightly higher premiums. Although comparison sites will give a range of potential options based on basic information, you may not be able to find two policies offering exactly the same cover. Decide what is important to you and find an insurer who can give you the best policy – not necessarily the cheapest. Make sure you know how to make a claim. Have your policy details and emergency assistance numbers with you and check the details in your policy to see who to phone and when to get in touch if something goes wrong. Not all insurers will have UK based call centres for emergency assistance, but they will normally all have native speakers who are able to assist by speaking to medical staff in the country you are visiting. Hopefully you won’t need assistance, but make sure you know what to do, just in case. There are many reasons why people may have to cancel or cut short a holiday. Find out what you will be covered for and ensure that you give your insurer as much information as possible to make sure you are covered. For example, if you have to cancel a holiday due to a relative being unwell due to a pre existing medical condition, make sure you declare this at the time of buying your policy, otherwise you won't be covered and will lose a large proportion, if not all of the cost of your holiday. The same goes for having to cut short your holiday. You don’t expect to, but sometimes you have to. Cost is always a consideration, however it is important to look at the whole package, not just the initial cost of the policy. When you look at exclusions, excesses and levels of cover, the cheapest option may not be the best option. *Subject to screening and exclusions.